2019 is already taking shape for many teams, drivers and series with sponsorship and livery proposals well underway. 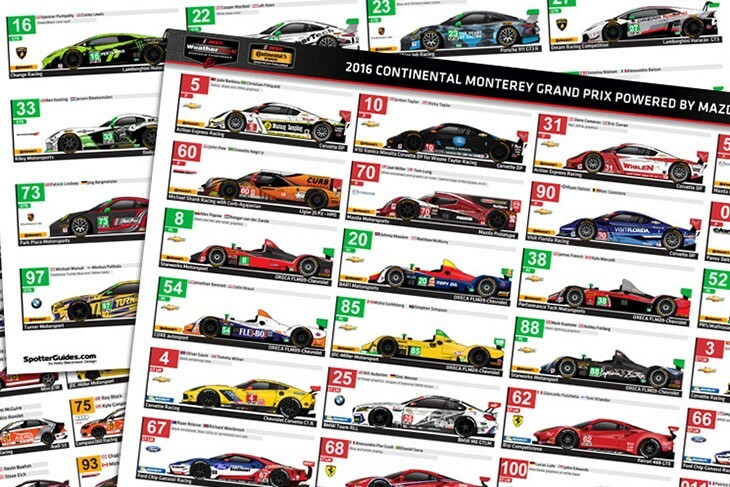 With the impact of Social Media, reduced TV coverage, lower quality online streaming and many full grids, ensuring your race team, brand and partners stands out on track in 2019 is more important than ever. Andy Blackmore Design offers a full range of Creative Services for the Automotive and Motorsport Industry, including Livery design, Aftermarket and Racecar Vehicle Styling and concepts, Team Identity, Clothing, Marketing aids, Sponsorship documents and Hero Cards to ensure your team and brand convey consistent messaging across all platforms. I am an experienced vehicle styling and livery designer with over 20 years of experience working with automotive teams and companies in Europe, North America and beyond. I have been fortunate to have worked with many top teams and series in motorsport, including McLaren, Porsche, Nissan, BAR Honda, Yamaha, The American Le Mans Series and the Tudor SportsCar Championship. My livery designs have been featured in series as diverse as Formula 1 and Formula Drift, Rally and the 24 hours of Le Mans. Originally trained as an Automotive Stylist in the UK, my 3 dimensional experience enables me to fully understand how a 2d graphic will work across the 3d form. Using the unique knowledge and skills I have gained over the course of my career, I approach each new project with a view to ensuring my client’s team and brand stand out on track and maximize team and partner exposure, often with different treatments and materials. I am available to design all team identity needs, including car livery, team and fan apparel, pit/paddock areas, team logos, race transporters and VIP motorhomes. I work with my clients to build a relationship and gain an in-depth understanding of the needs of the team and their partners in order to create a distinctive package. Stage 2 – Develop a number of concepts with sponsors, series branding and review with client. Stage 4– Work up final design(s) with full vector artwork and logos. Sign off and artwork formatted ready to be passed onto Vinyl shop etc. All artwork is delivered in vector format. To make the process more efficient, I have templates ready for the majority of Endurance and GT cars complete including every GT3 chassis. For sponsorship proposals, in the majority of cases, I will often produce a couple of proposals for a client. If a proposal is successful, I would then develop and enhance the designs. From race liveries to team identities, clothing to race transporters, hero cards to race transporters, I can develop all your creative design needs to ensure you and your partners convey a consistent message in 2019. I also have experience of vehicle and body kit styling for the Automotive Industry. I have designed road cars, one off builds and BTCC and LMP body styling modifications. In addition, I have designed hundreds of ‘real world’ bodykits for the multi-million selling Need for Speed Video Game franchise and am keenly aware of current trends in car culture which is critical in driving the younger demographic back to Motorsport. My experience doesn’t stop there. 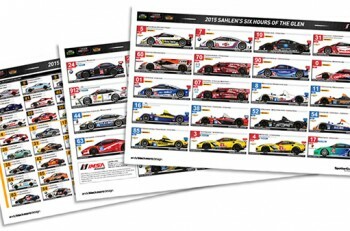 I have also been responsible for Interior Design at McLaren and Electronic Arts and create the worlds largest series of Fan Spotter Guides, which has been sponsored by Nissan, EA, Simraceway and the American Le Mans Series. 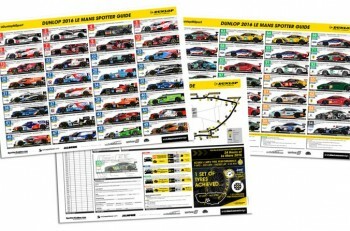 Various companies have also commissioned special Spotter Guides for their sponsors or VIP guests like the Porsche North America guide, shown above. For more information on my designs and services, please visit my all-new website which includes a Featured Portfolio of previous projects.